Stainless Steel Guide Rod Assembly fits Gen 1 to Gen 3 Glock® 17,17L 22, 24, 31, 34, 35, 37 pistol. Unlike the original Glock guide rods that are made of plastic, this stainless steel guide rod would not wear out or flex during shooting. 1. Add weight to the front of the pistol and helps reduce muzzle flip. 3. No chance of gun malfunction caused by broken plastic guide rod. 4. Can choose the best spring weight to match individual shooting style and ammo type. 5. Requires no modification of the pistol. 2. Spring is made by ISMI in USA. 3. Total Weight : 0.88 oz (24.8 gm) original: 0.38 oz (10.7 gm) – a 130% increase in weight. Magloc® Stainless Steel Guide Rod Assembly fits Gen 1 to Gen 3 Glock® 19, 23, 32 pistol. 1. Guide rods are CNC machined from stainless steel rod. 3. G19 guide rod fits: 19, 23, 32. 3. Total Weight : 0.80 oz (22.7 gm) original: 0. 33oz ( 9.45 gm) – a 140 % increase in weight. 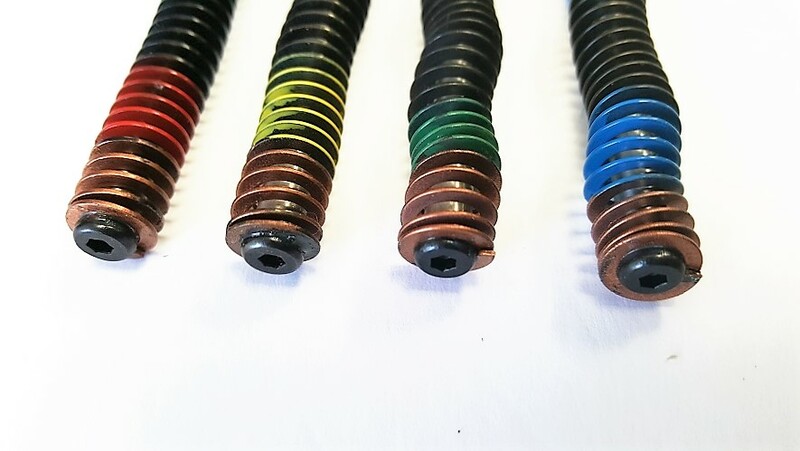 Note: Paint used on color coding might come off when contact with gun cleaning solvent or gun oil; this is normal and will not affect the proper function of the spring assembly. 2. G20 guide rod fits: 20, 20SF, 21, 21SF. 3. Total Weight : 0.89 oz (25.5 gm) original: 0. 38oz ( 10.7 gm) – a 138% increase in weight. *WARNING: Wear eye protection and make sure the firearm is unloaded before installation begins. If you are not comfortable with the installation procedures described below, please have the work done by a qualified gunsmith. The following installation procedures with photos are posted on our website. 1. Separate the slide form the frame as per Glock manual. 2. 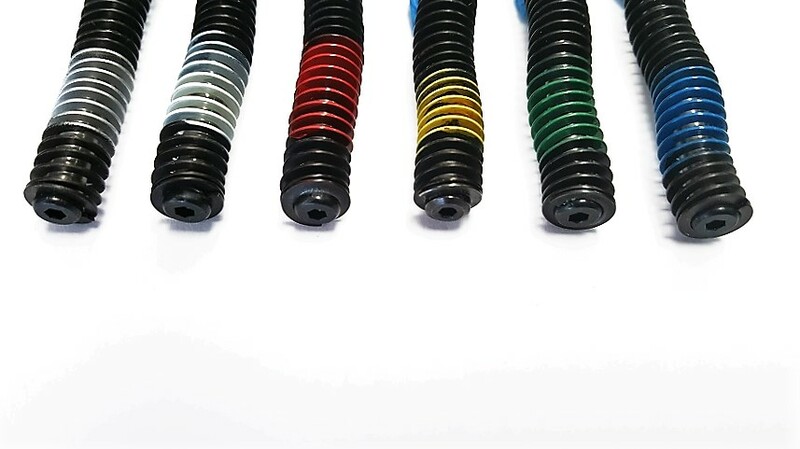 Separate the recoil spring assembly as per Glock manual. 3. 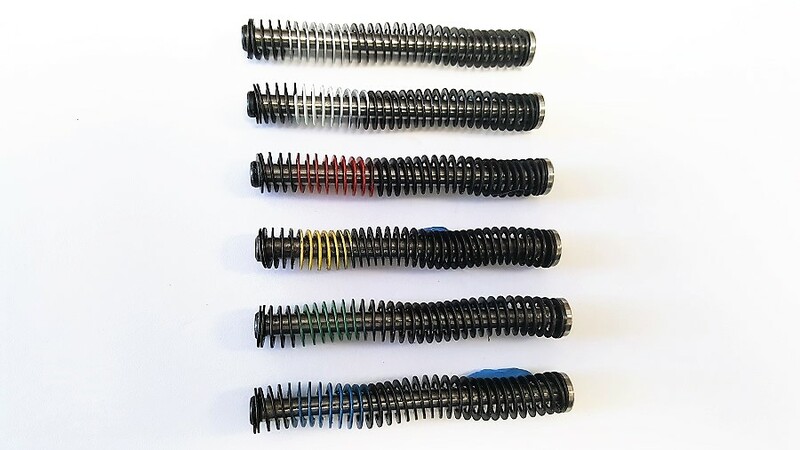 Replace the original spring assembly with this steel assembly. 4. Re install the frame as per Glock manual. Warning: After installation, test fire your pistol in various shooting position and making sure that your pistol functions as expected.